Long had we wanted to launch a feed pellet that was as potently effective as our Special ?G? Green groundbait! Well?now we?ve cracked it that?s exactly what we?ve done. 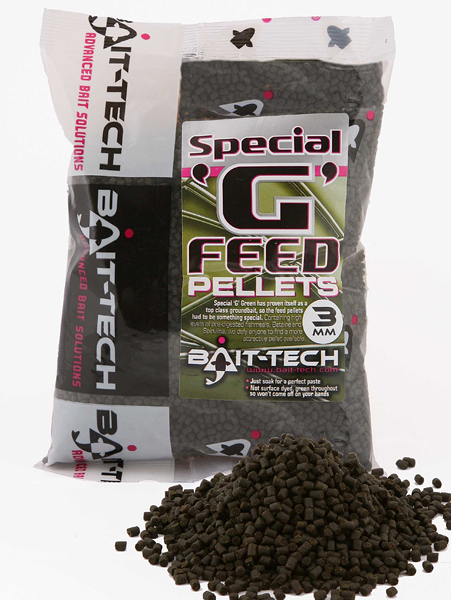 Packed full of the same fishmeal and attractors as our world renowned groundbait Special ?G? containing high levels of pre-digested fishmeals including GPS90, Betaine feed stimulant and Spirulina (a human grade dietary supplementary/feed enhancer). We challenge anyone to find a more attractive pellet available on the market!